Many people expected Ted to drop his Senate plans. The Kennedy advisers in Washington certainly hoped he would. 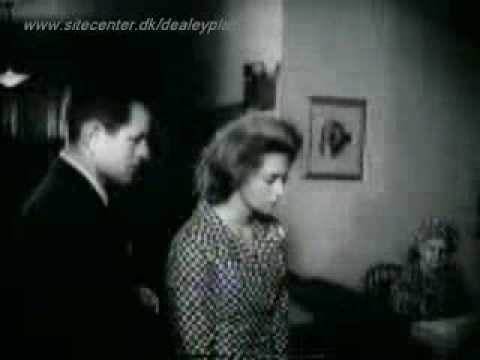 They especially dreaded a bruising battle with McCormack, who was the favorite nephew of the US speaker of the house, a leader whose support JFK needed to get his agenda through Congress. Yet inexperienced, undistinguished, untested Teddy Kennedy chose to soldier on. Instead of making a name for himself in a new state, he would cut his political teeth running for his brother's old seat, working out of his brother's old Beacon Hill apartment, and seeking to reflect in his brother's glow with the winking campaign slogan of "He Can Do More for Massachusetts." n the 1962 U.S. Senate special election in Massachusetts, Kennedy first faced a Democratic Party primary challenge from Edward J. McCormack, Jr., the state Attorney General. Kennedy's slogan was "He can do more for Massachusetts", the same one John had used in his first campaign for the seat ten years earlier. McCormack had the support of many liberals and intellectuals, who thought Kennedy inexperienced and knew of his suspension from Harvard, a fact which subsequently became public during the race. Kennedy also faced the notion that with one brother President and another U.S. Attorney General, "Don't you think that Teddy is one Kennedy too many?" But Kennedy proved to be an effective street-level campaigner. In a televised debate, McCormack said "The office of United States senator should be merited, and not inherited," and said that if his opponent's name was Edward Moore rather than Edward Moore Kennedy, his candidacy "would be a joke." 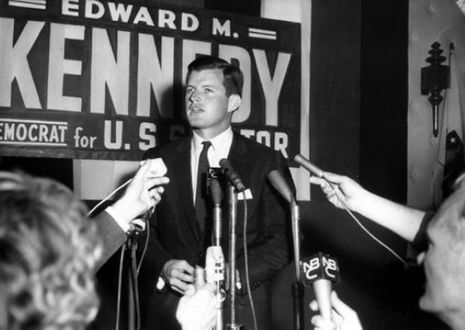 Voters thought McCormack's performance overbearing; combined with the family political machine's finally getting fully behind him, Kennedy won the September 1962 primary by a two-to-one margin. In the November special election, Kennedy defeated Republican George Cabot Lodge II, product of another noted Massachusetts political family, gaining 55 percent of the vote.